Robbins Rehab has chosen to support Meals on Wheels of the Lehigh Valley as their 2nd quarter charity push. We are raising money through t-shirt sales and direct donations. If you would like to join our team, or donate to our team, just click the link below. 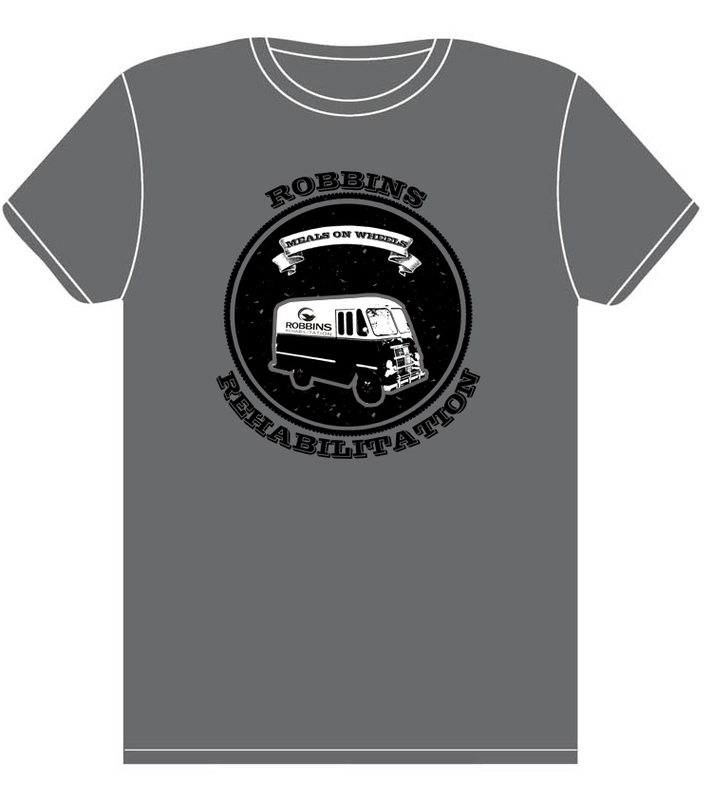 Click Here or on the shirt to purchase our Meals On Wheels Charity shirt! Meals on Wheels of Lehigh County is a 501(c)(3) charitable not-for-profit community service organization registered with the Pennsylvania Bureau of Charitable Organizations. The agency was founded by a grassroots group who decided it was unacceptable for homebound adults living in Lehigh County to go hungry as long as there were caring people who could prevent it. On February 1, 1971 Meals on Wheels of Lehigh County began serving nine clients on three routes. 43 years later, we deliver nutritious meals each weekday with the help of 1069 volunteers to an average of 370 homebound seniors and adults with disabilities on 33 routes. More than 90% of our clients cannot afford to pay the full cost for their meals, so we depend upon our community to raise over $450,000 each year. Every $7.22 we raise fully funds a meal for a homebound senior or adult with a disability.